You are here: Home / The Randy Quaids / Randy Quaid, Wife Face Burglary Charges in Calif.
Randy Quaid, Wife Face Burglary Charges in Calif.
SANTA BARBARA, Calif. (AP) — Actor Randy Quaid and his wife are facing burglary charges in California after the owner of the couple’s old house reported they had been living there without permission. A representative of the property owner called Santa Barbara County sheriff’s deputies Saturday afternoon to report that squatters had been staying in the guest house illegally. 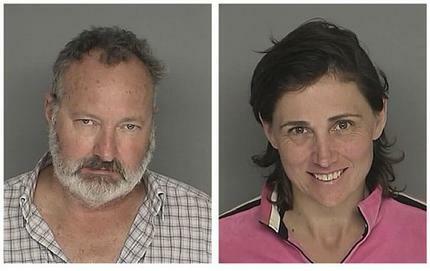 When deputies arrived at the house that evening, they found Randy and Evi Quaid, who said they had owned the property since the 1990s. The property owner’s representative provided documents that showed his client had bought the home in 2007 from a man who had purchased it from the Quaids several years earlier. A contractor showed police more than $5,000 in damages to the guest house that he believed was caused by the Quaids. Police arrested the Quaids on charges of felony residential burglary and entering a noncommercial building without consent, a misdemeanor. Police also charged Evi Quaid, 47, with resisting arrest. Felony charges were later dropped against Randy Quaid, 59. Evi Quaid pleaded no contest to a misdemeanor count of defrauding an innkeeper and was sentenced to three years’ probation. She was also ordered to perform 240 hours of community service.